Belphegor University, Home of the Sagacious Salamanders - It Just Bugs Me! Nestled in the forests at the edge of the town of Lemure, Kansas, at the world-famous geodimensional rift, Belphegor University spans 151 acres of woods and lawns interspersed with its architecturally-diverse facilities. Belphegor University is of course best known for its research and development of the arcane arts and sciences -- including its renowned preparatory school for mages, Belphegor Academy -- but also offers a wide variety of scholarly disciplines and research centers, as well as other opportunities for its students. From leading dimensional physics researchers, to a major herpetological research center, to one of the premiere quidditch teams in the entire world, Belphegor University has something for everyone. The unique location of Belphegor University also offers close connections and convenience to major population centers and other destinations. Due to its dimensional properties, the university and its accompanying town are just 60 minutes from Portland, Oregon, 80 minutes from Salem, Massachusetts, and less than 2 hours from Las Vegas, Nevada. Most notably, Belphegor University's main campus is separated from its satellite campus in Manes, Oklahoma by only a ten-minute walk. While the campus sits on 151 acres of land surface, the buildings that contain its facilities actually consist of a highly interconnected set of buildings with a number of experimental architectural features. Skyways and tunnels enable the indoor travel between all buildings, including dormitories and academic buildings, with the exception of some (though not all) small outposts. The tunnels and basements also serve as shelter during hazardous surface weather conditions, or other disaster events. The most notable architectural and planning innovation for the students, however, is that the students have nearly full access to the structural and mechanical workings of the campus. This degree of access, virtually unprecedented anywhere else, has led to a number of student-directed engineering projects that have given the campus's facilities a particular distinction to them -- for example, the slope leading upward from the west campus parking lot to the Central Plaza have been outfitted with a series of adjustably porous concrete steps that can be converted into pools of water of various depths, and the surrounding buildings have been outfitted with water channels to redirect their water to these pools, allowing for a rainstorm to produce a series of pools for swimming and lounging. The relatively liberal building codes have also allowed the students to experiment with striking designs, such as the 50-foot-deep gap between the literature and geography departments. Even where students have largely left the existing landscaping in place, the atmosphere is still distinctive -- such as the Southern Quad where the brick paths and walls are punctuated by impressively large, gnarled and knotted trunks of old, petrified trees. But by far the most distinctive feature on the campus is The Crater. Overlooked by the Central Plaza, The Crater, a roughly circular and very large bowl-shaped crater originally created by a magical accident during the initial construction of the campus. Planners decided to leave it as is, and it has since been used to do everything from illustrating bedrock to geology students to hosting many creative decorations on the annual Samhain/Halloween holiday -- such as, once, an alien crash site complete with thick black smoke and shards of a mysterious craft. Student dining at Belphegor is noticeably more affordable than dining plans at most universities, because Belphegor does not contract out dining services to a caterer. Instead, all the dining facilities are student-run operations, and the vast majority of students cook for themselves and each other in either household-like small-scale settings or cafeteria scale operations. Belphegor does employ nutritionists and food safety professionals to ensure the quality and safety of the food served, though the quality of Belphegor's on-campus medical facilities mean that even occasional mistakes can be easily corrected. A number of students grow food consumed on the campus, using patches of the landscaping of the campus as well as its buildings' rooftops and even artificially-managed facilities indoors, but raw food materials are never in short supply due to the university's location near agricultural resources. The university's proximity to the town of Lemure also means that students, staff, and faculty frequently patronize restaurants and other vendors in the town -- be it for a quick bite, a working or socializing session in a coffee shop, or a fancy night out. Lemure, which has grown with the university, caters closely to the tastes of the university community, offering everything from fast greasy-spoon fare, health- and ethics-conscious options, eateries that serve as hangout spots, and even a handful of businesses that offer upscale dining experiences. Dormitories at Belphegor vary greatly in their design, but if there's one thing in common with them it's that they present unique living arrangements. The Rusalka Apartments, located in the midst of the Tatori River and named after the patron saint of soil moisture, are such an example. This set of one-. two-, three-, and four-story row-buildings, each containing two- to four-occupant apartments, has a particularly colorful history. It was originally built on the floodplains of the Tatori, as a set of apartments overlooking the river, on what was previously an island that separated the Tatori from one of its meanders. The meander had dried up and thus the land on the riverbank was connected to the mainland again. A set of Strom Thurmond supporters built an apartment complex commemorating his 1948 presidential run. The buildings were arranged to partly surround a courtyard with a swimming pool -- though that would seem hardly necessary as the complex was waterfront property already. But just like perpetuating segregation, building the Thurmond Apartments at this location turned out to be a prodigiously stupid idea, as the Tatori soon re-flooded the meander and began eroding away the island. When Belphegor University acquired this property, it'd been abandoned by its previous occupants, and initial plans were to tear down the building. However, enterprising students and faculty worked out a plan to anchor each of the four buildings and some courtyard features to the bedrock and to each other (and rub Thurmond's name off the masonry, of course). This plan was implemented, and a number of bridges and other improvements (including the addition of a helipad atop one of the buildings) were also made, allowing the apartments to continue to be habitable. Since then, besides restoring the building to a usable condition, residents have strongly customized the building to suit their activities. Each floor of each building has roughly the same floorplan -- double/triple/quad apartments summing to an occupancy of 35, as well as outside-of-apartment common areas -- but residents have turned some of the common areas and even some apartments into centers for various activities. For example, the center lounge of 3-1 (the three-story building's first floor) was converted to manage harvests, plant and animal, from aquaculture plots just outside the building, in the Tatori River. A hand-cranked elevator has also been added to the tallest building (though flight-capable students are nevertheless still disproportionately inhabit the upper floors). Even where major improvements didn't visit, residents have spread copious amounts of paint on the interiors and exteriors of the complex -- resulting in a noticeably colorful set of residence halls, whose colors occasionally (and quite haphazardly) change. The most notable improvement, though, is the addition of an "Observation Tank" beside the complex -- a glass and steel structure that allows the Belphegor community (at least those who do not possess air magic) an underwater view of the Tatori River and its flora and fauna -- complete with benches for relaxing and contemplating -- while remaining dry. Rusalka's current residents do include a higher-than-average number of students in agricultural and natural science studies, as well as some number of creative types. The dorm culture leans toward counterculture tastes, and not surprisingly also hosts many vegan and vegetarian cookouts. Underwater soccer -- a variant of underwater hockey adapted for play in a flowing river -- is a popular sport, and the Rusalka Observation Tank (often just "the Tank") is frequently used by spectators. Barbatos Hall - "The Ring"
Barbatos Hall is a dormitory popularly known as The Ring, due to its circular structure, surrounding a central courtyard. This four-story structure is divided into 20 individual two-story suites housing 16 students each; each suite contains two floors, and each floor is a dumbbell-shaped layout that has four single bedrooms surrounding either a kitchen or bathroom each end with a common lounge in the middle, where the two floors are connected by two stairs. Upper floors always have bathrooms on the counterclockwise ("+θ", as residents call it) side while lower floors always have kitchens on the clockwise ("-θ") side. These dumbbell arrangements are arranged in two circles, offset from each other by half a phase so that the lounges of one suite are above the bedrooms of another suite. Laundry facilities (accessible from indoors) are available on the ground floor between every other pair of suites in the lower ring; the other gaps are entrances into the courtyard. Also on the exterior are stairs leading up to the upper ring's suite entrances, both on the building's exterior and facing the courtyard. A tunnel runs beneath the building and connects it via underground passage to other dormitories. The most notable feature of The Ring is its courtyard, which is also known as "The Ring". Its residents, a good portion being STEM majors, are fond of a variety of nerdy pranks and engineering projects, and often crack jokes on the ambiguity of this terminology as well as definitions of "inside" and "outside". The courtyard is basically the dorm's common space, used for parties, barbecues, experiments, movie screenings using a five-way projection system mounted on poles which may or may not rotate, or even move around, odd challenges such as a banner-hoisting contest or a three-dimensional maze, and probably the most prominent feature, bullfighting, specifically using magitech bulls built by residents. Underground sabotage efforts (and the undercover contests to implement them) often make this event particularly unpredictable and entertaining. Rumor has it that residents have been planning modifications to the building to make the upper ring rotatable, or to construct a rotating restaurant (or other facility) atop it. Can I be the librarian. Rayne Lindwurm: The second child of the influential Lindwurm family, Rayne's general outlook on life has been one of trying to find ways not to play second fiddle to her older sister, who is both arrogant and competent. Has developed somewhat of a competitive streak herself, though less prone to backstabbing and more prone to pranks. A sophomore, interested in mechanical engineering. Celestia Lindwurm: A graduate student at the Renon School of Business, and Rayne's older sister. High-performing, but also very competitive and rather arrogant, and often a show-off. Lugh Ciel: A new student, a froshling. Undecided about her major. Tries to be a(n irritating) groupie to her secondary-school acquaintance Rayne Lindwurm, seeing Rayne as her big sis, but fails in the loyalty department. Sriabelle Orphanknight: A sophomore, a general magical studies major, seemingly more interested causing trouble than academics. Helps run an officially-prohibited dueling and gambling ring, and is a frequent combatant herself. Giee: Sophomore, biology major with an ecology focus. Not a particularly friendly person, and often very absorbed in her studies and research projects. Best known amongst staff for having a single-word name, causing various amounts of administrative confusion. Irias Reginleif: Sophomore, mechanical engineering major. Relatively "mainstream" in her habits and tastes. Angling for an internship following this school year. Part friend, part rival to Rayne Lindwurm. Liddell Pleasance - an ambitious and slightly rebellious witch, who thinks she can do everything. Kitty Caruso - Liddell's roommate, who is much more soft-spoken. Henri [last name not yet decided] - somewhat reserved but very perceptive journalism major, anthropology minor, who enjoys investigative work; currently looking into magical paintings containing pocket dimensions. Emily Crossfade - Henri's more adventurous roommate; she is a physics major, and she also assists Henri in his investigations. They room together in the only normal dorm on campus, a two-story building with a square courtyard. Len Cutlass - somewhat immaturely showy and risk-taking, but generally a fun guy to be around. Takes a liking to Ally, despite their rather different personalities. Ally Connolly - chemistry major, and a foreign student with a stoic and serious personality, from Egypt, with an Egyptian-Irish heritage. Hannah Webber - a pop star; not actually related to Andrew Lloyd Webber despite rumours. Transfer student with a budding interest in chemistry; has some trouble getting away from her fame. Rodney Ford - probably involved in the ROTC program; he develops romantic feelings for Chiara. Tom Benson - openly geeky, yet also very approachable and friendly. Collects rocks and minerals; a fan of (though not romantically interested in) Hannah Webber; has a mom who is a cop. Chiara Farina - also a chem major; her dad is a cop; she develops romantic feelings for Rodney. Myr Pando - bookish and quiet, an aspiring author. Distantly related to the Lindwurms. Karin Pando - Myr's sister, and quite a contrast, as Karin is energetic, charismatic, athletic, and high on life. Some people can't fathom how she has time and energy for all her extracurricular activities. Entrance area that's just one or two stories high, and to the left there's a light-well, to the right there's a display gallery, and in front and to the right there's the checkout desk, but going further in leads to the rest of the library. The library should, not surprisingly, be quite large, and should have both tight spaces and open spaces. One possible idea I had was this really large and open building with a contemporary style where there's this big diagonal wall/ceiling on one side and basically terraces at various floors with shelves of books, but I think I might want to use that as a sort of general-purpose building. Another idea involved a large room lined with multiple floors of dark-brown wooden shelves along the walls but with a large central space that could be peppered with study carrels and tables and more shelves, and the airspace could also be used for various things either hanging or levitating. There's gotta be a part of the library that's really dark and maze-like and kinda claustrophobic. And the nearest exit is probably hidden behind some metal stairs. I mean, where else are you going to go when you need to crash without going back to your room? You can't always let yourself be distracted by your roommates/suitemates. Of course! There are these really-in-the-corner tables where you basically can't be seen if you throw up a sleeping bag next to the wall beneath them. Good thing it's a 24/7 library. Rumor has it that the janitorial staff clean out dead bodies here every so often. Around Halloween, some curious necromancy students -- or prankish persons of any major of study -- tend to enjoy making a big deal of this, turning this section of the library into an actual haunted location. They have to import the undead, though. Some enterprising students have suggested digging a deep pit beneath this wing to see if they can find locals, however. I suddenly remembered a picture that I associate with "your" library which is a bottomless circular pit lined with floor after floor of bookshelves. That seems like a neat idea though I'd need to flesh it out a bit more to incorporate it (e.g. where does it connect to other things, what topics do its books cover, is there any study space or is it an archive, and what's at the bottom?). The circular pic you're thinking of was probably an illustration of Borges' "The Library of Babel". Which is a really cool story and a must for fans of big mysterious libraries. 14w for Fashion Department Magical Garment Research Facility head. His students are the mean kids because obviously. I don't really have time right now to help you flesh anything out but this looks fun so I'm reserving my spot. I have a thing about Naas' abandoned building being used for some sort of secret Arturian genetic testing in the vein of Operation Abyss and everything. Isn't that just Million Arthur? At least, from what I could gather from that wikia. Well I was thinking you'd look for descendants of King Arthur and then try to turn them into Fine but King Arthur, I can't remember what the plot of Million Arthur is. I'll be in the occult club. There could totally be a fashion design school or something. And the MGRF could be a major research center within that school. Feel free to design any aspect of it -- the curriculum, the layout of the building(s) and lab facilities, etc. Cool. Though now I'm wondering what they'd be interested in, since this is a setting where a variety of fantasy creatures do exist -- dragon-human hybrids (the Lindwurms and the Pandos for example), cat-human hybrids (Ms. Caruso mentioned above), undeads (who are not necessarily evil and may even have undead rights activism advocating on their behalf), and such, and for that matter, a number of mythical creatures regarded in our real world as malicious or demonic turn out to be figures of respect, such as I mentioned above how Rusalka is considered the patron saint of soil moisture, rather than a dangerous riverbank-haunting spirit. The occult club will be popular, then, and have an advanced, if dangerously amateur, grasp on spells and supernatural forces. I don't want to step out-of-bounds too much or anything, so you can shoot down whatever doesn't fit. Ritual Garments. These would very strictly tied to their rituals and so you can't really alter them to be stylish at all. History and Research, which is more about finding out the trends in garments, specifically magical ones, from the first loincloth used for self-healing to the latest haute-couture gowns designed for light-shows. The MGRF would focus on Practical Use applications and Ritual Garments, and be headed by Dr. Dylan Aileron. The overall school would be run by Prof. Jane Buer (no relation, she swears). I have a few ideas for students too, if you're interested. ^ Sounds cool. I'm curious what rituals these ritual garments are used for, as I didn't think of ritual magic as part of this setting, but I'm fine with it being a thing too. What's "Dylan Aileron" named after? And I guess "Jane Buer" is after the Buer demon? Aileron is just a vaguely fancy French way of saying wings, ie fourteenwings. I was thinking that rituals could be like, magic rooted in like naturalistic practices and they could be very culturally specific. Yet when you step away from the specific rituals each culture has, they'd have a common language (Are there spells to recite?, Are there objects to be manipulated during the ritual?, Are there spirits to call upon?, and of course, the clothing you wear during it). For example, there could be rituals for mass healings developed as post-battle tactics (where the magicians, in white robes obviously, with specific markings that for obvious reasons would light up). These could take days to complete, and the robes would start to stain black or red as they took in all the injuries they could manage and repaired them. In contrast, there could be "teleportation" rituals, which would simply involve putting on the appropriate attire and quickly reciting a few lines of a spell. The teleportation garments would include things you'd need to repel during teleportation, so you don't accidentally end up inside a wall or whatever. I know I'm doing a lot of "It could be simple as X but complicated as Y" but I'm trying to hit the broad strokes quickly. I wonder how to organize the departments within the school. These divisions do not preclude multidisciplinary/multidepartmental collaborations, of course. If you've got better ideas, feel free to suggest them. Also i was working on ideas for a third dorm, specifically "the only normal dorm on campus, a two-story building with a square courtyard", with some help from @Earthlight_Ray. Basically this is a relatively normal-looking building (as opposed to the conspicuously strange things that are the Rusalka Apartments or The Ring), though ironically it is popular with students in the magical sciences. Hallways have inward and outward-facing rooms which house one or two students each, depending on the size; the hallways also contain communal bathrooms. The building is four sides surrounding a courtyard, somewhat like The Ring, but without all its strange features. At each corner formed by two intersecting sides of the building, there are laundry facilities on the ground floor, and on the upper floor, what passes for the least typical in this dorm -- two rooms on the top floor at each corner (eight of these in total), which appear like "lookouts" from the outside. These rooms are two stories tall, though still only the footprint of one room. Students who live in these rooms often put their beds on the upper floor while they keep a kitchenette or even a full kitchen on the lower floor (depending on where their desk is). Such rooms are usually the territory of upperclassmen, as there is a room lottery at the end of each semester and residents with seniority choose first. In the middle of each side of the building are primary double-door entrances; secondary entrances are at the corners. Stairs are at the secondary entrances, while main entrances have a manually-operated elevator, which uses bicycle pedals -- or magical energy -- to operate the mechanism. I need a name for this dorm. What's a good name for a notable demon from whatever mythological source wealthy donor? Also, names would be nice for the various schools. And the schools that have more departments get to be called colleges, too. Got an idea for the building consisting of towers. There are bridges between adjacent towers. Their position is adjustable. There is an annual game involving rearranging these bridges, wherein the winning tower is chosen such that an object that descends towers starting from the top of one randomly-selected tower and crosses every bridge it comes across ends up at the base of the winning tower. So I already picked a location for the main campus of Belphegor U, a place called Lemure, Kansas. Not a real place, but hey, it's not like any real city would have a university where magical arts are studied. But, Florida being Florida and having its reputation for (ahem) strange and wonderful things, it'd be pretty cool if someone hailed from Florida. How about, say, the Lindwurm family. Perhaps they call Everglades City their home. In real life, Everglades City is a tiny town of about 400 people, and the former county seat of Collier County. Not really notable, aside from perhaps the name, being the only place in the US actually named "Everglades". Broward County was about to be named "Everglades County" until they decided to name it after Napoleon Bonaparte Broward, who ironically began a major project to drain the Everglades. And I guess there's a Glades County, though "Glades" is apparently an old word for...well, actually, roughly the region that's now called the Everglades, stretching downwards from Lake Okeechobee. But in our fantasy world...anything goes. Besides, I'm already breaking with the source material (eXceed 3rd) by setting this on Earth instead of in "Pandemonium". I've wanted to design a city whose main means of transportation is waterways that surround buildings, allowing the city to "float" above wetlands and thus allowing water to flow beneath and around buildings. A fantasy setting where at least some people are capable of flight by magical means makes this is even more convenient. The Lindwurms are a prominent family in this fantasy version of Florida, and they hail from Everglades City. Or Everglades County, if I wanna go even more self-insert, lol. And let's conceive of a city built this interesting way. Would certainly give a convenient reason for Rayne and Celestia to be skilled at aerial combat. Interesting: I had just recently recalled myself posting in a similar thread in TVT's World Building. My idea there was that a wizarding school might have classes on various magical traditions from around the world, just like a mundane school might have classes on international relations. 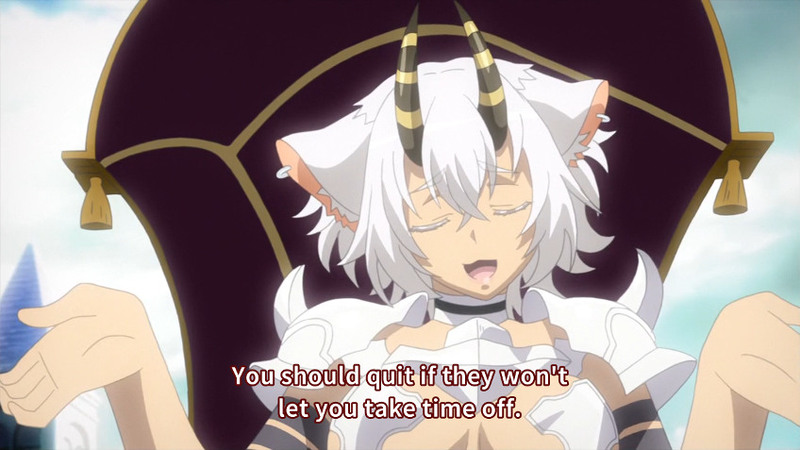 If MahoIku has taught me anything, it's that inter-departmental bureaucrazy is the best sort of crazy. So just imagine magical international relations crazy. I actually had a whole concept for a story where the main characters were two African kids who had what were basically cardgame powers (imagine Chaotic, if anybody remembers that show, but without the transforming into your monsters and also all the monsters are just mundane animals). The villains were going to include Arabic/Middle Eastern characters who used the same basic system, but it involved turning those same spirits the African characters used in card form as medals that hung around their necks that would turn into Pokemon style djinn that would fight for them (again, just normal animals) and Eastern European characters who would expend the whole animal spirits by turning them into attacks (so like... PP from Pokemon, except as soon as it runs out the spirit disappears). I decided against pursuing it because I was really young and very lazy. link? now I'd like to see it. Incidentally I once wrote up some prototype "cards" for a not-yet-designed card game, featuring wildlife in the neighborhood where I used to live. So, muscovy ducks had high "presence" and were uncommons, Caribbean anoles had low presence but were commons, and tropical house geckos had low presence and were uncommons and could only be played at night. @lrdgck y'know i actually haven't put much thought into different schools/styles/etc. of magic. If you want to flesh it out feel free to do so. I did once write up this (and see the rest of the thread if you want; it's just me sorta tossing ideas around), which is basically a magic system based on imagination, where you can study magic intentionally to get a "generic" form of magic that's generally useful, but also can acquire it from your relationship with the world and meaning around you. Karin, Lelian, and Myr Pando are part of the expanded family tree. In demonology, Belphegor (or Beelphegor, Hebrew: בַּעַל-פְּעוֹר‎ baʿal-pəʿōr - Lord of the Gap) is a demon, and one of the seven princes of Hell, who helps people make discoveries. He seduces people by suggesting to them ingenious inventions that will make them rich. Bishop and witch-hunter Peter Binsfeld believed that Belphegor tempts by means of laziness. Also, according to Peter Binsfeld's Binsfeld's Classification of Demons, Belphegor is the chief demon of the deadly sin known as Sloth in Christian tradition. This is unexpectedly amusingly apt for a name for a university. * Springfield State from The Simpsons allegedly has roads to Oregon, Michigan, New Jersey, Texas, and "some other state". It may border Ohio, Maine, Nevada, and Kentucky. * Its geographical features include gorges, forests, mountains, rivers, beaches, deserts, lakes, wetlands and a glacier. It is located next to an ocean. * It sided with the North in the Civil War. * It has at one point had at least 24 congressional districts. Best part is the thorny devil listening to the walkman. > hey, interesting possible pun on "Reader Rabbit"